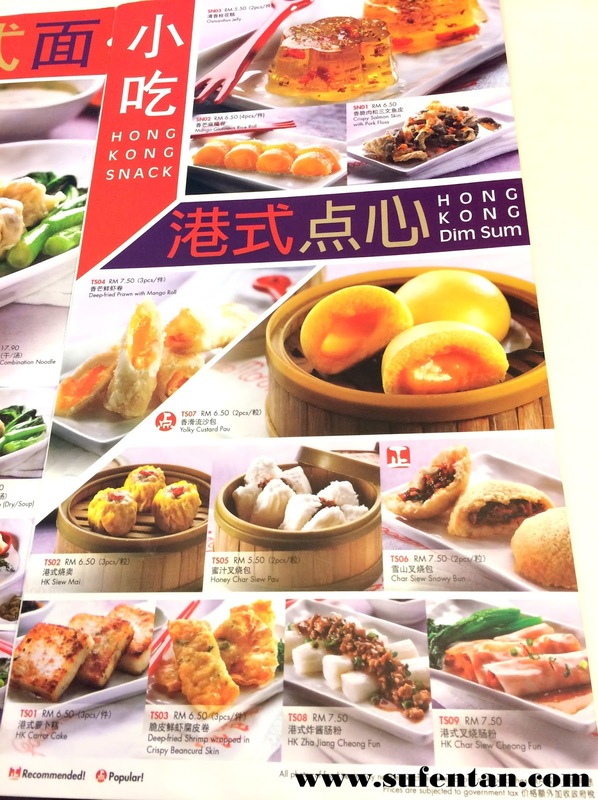 I wasn't a big fan of dessert but when it comes to Hong Kong dessert, normally it will comes with dim sum which I won't reject at all. I visited this place sometime ago in One Utama Shopping Centre when I'm looking for light meal for lunch. It is located at Lower Ground floor at the new wing side, near to Obahmi and Old Siam Kopitiam. 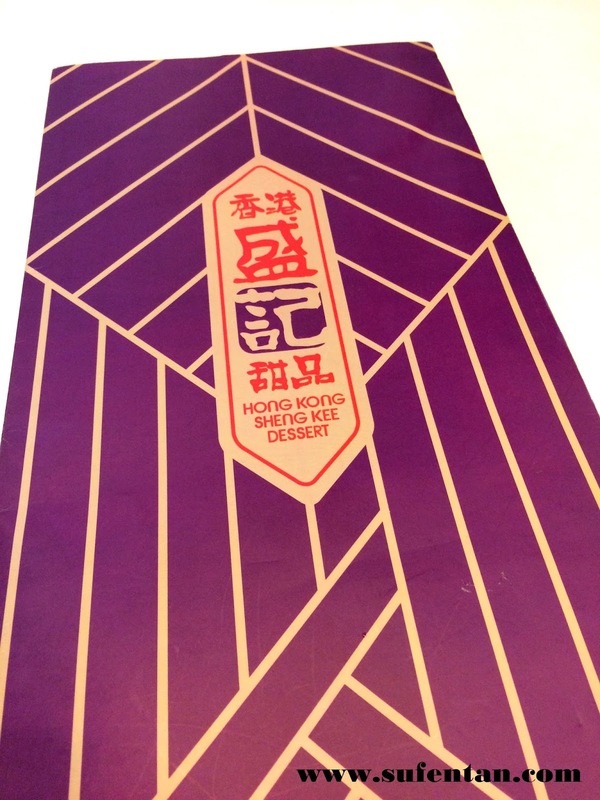 This Hong Kong Sheng Kee Dessert is a dessert chain from Singapore with around 18 outlets and they started the first outlet in Malaysia at One Utama Shopping Centre. 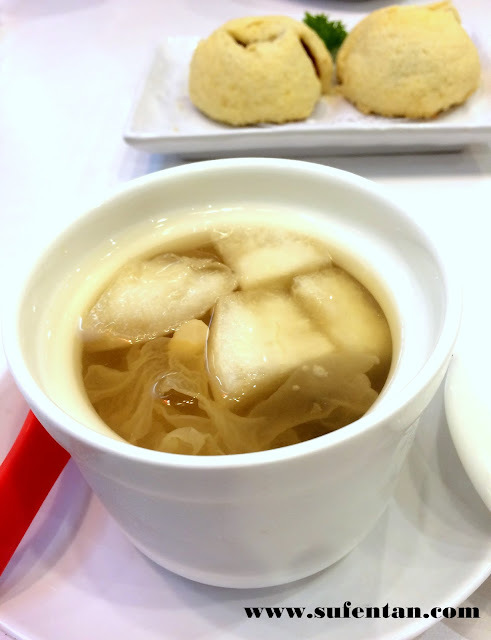 They served a range of authentic Hong Kong style desserts, snacks as well as noodles and rice. 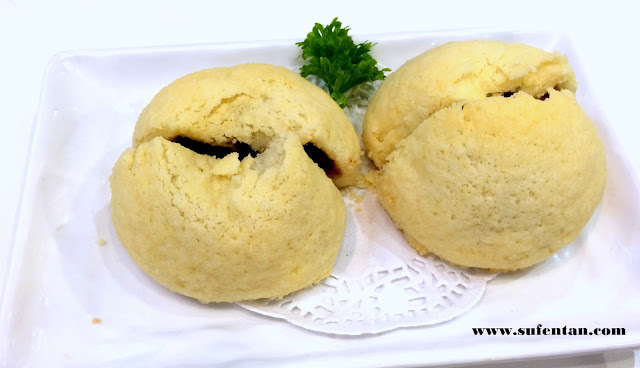 This is one of their signature bun that you can spotted easily on their advertisement in the mall. The char siew sandy bun is not the crispy version but more like soft and chewy sandy custard bun with sweet char siew inside. I personally prefer it to be crispy on the outside. Another signature dish that I have to try it out. 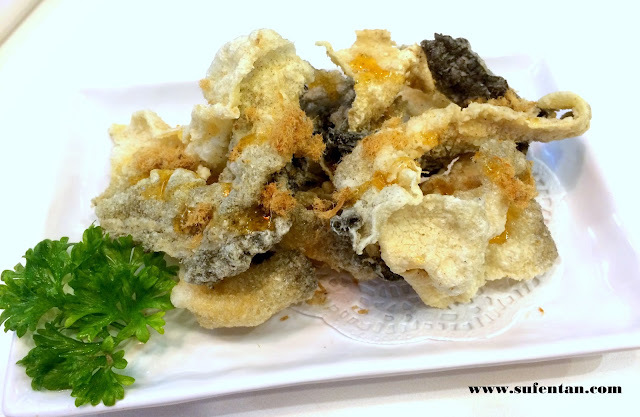 It taste quite nice with the super crispy and airy salmon skin texture, a nice snack before the main dish. However I would prefer if it is less oily. 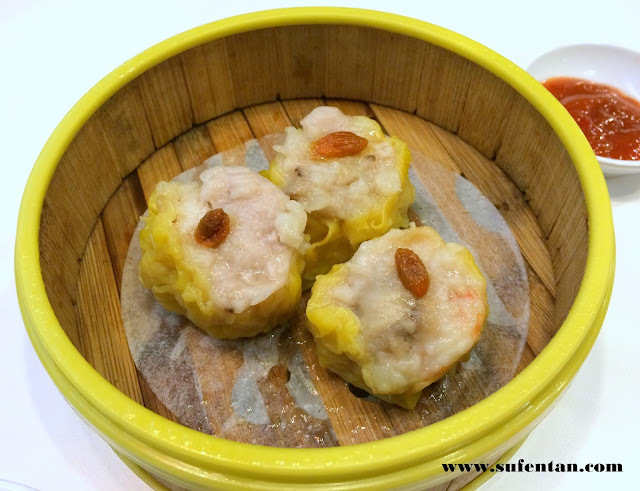 I wouldn't rate it as the best Siew Mai in town but it is decent and nice to have. I think the Siew Mai won't go any wrong if they stated themselves as Hong Kong dessert shop, there should be certain standard to achieve. One of their signature sweet that my friend ordered. 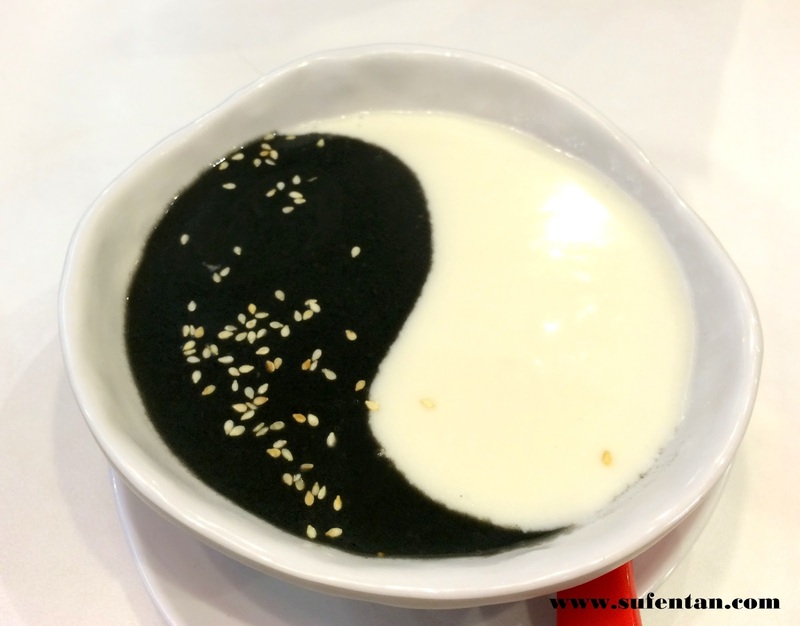 The warm black sesame and almond sweet dessert that is placed in a yin and yang figure, nice presentation. Overall taste is acceptable. I ordered this lovely chilled fungus sweet dessert. Overall taste was not too bad, the level of sweetness is just right for me too!